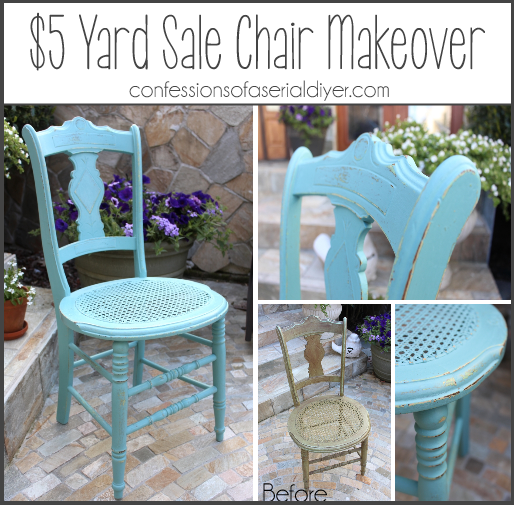 This is the story of a sweet little yard sale chair I found for $5 at a yard sale last summer. I think I love it so much because the elderly couple I was purchasing it from was so sweet. As a nurse I have worked with many elderly patients in the past and they are by far my favorite. They all have a story to tell and I love to listen. I’ve seen the spryest of 90 year olds and you can’t help but feel joy in their presence. This couple seemed like they had shared a happy life together, but the chair did not look so happy. It was a few different shades of green before, and it didn’t really fit with my color scheme. 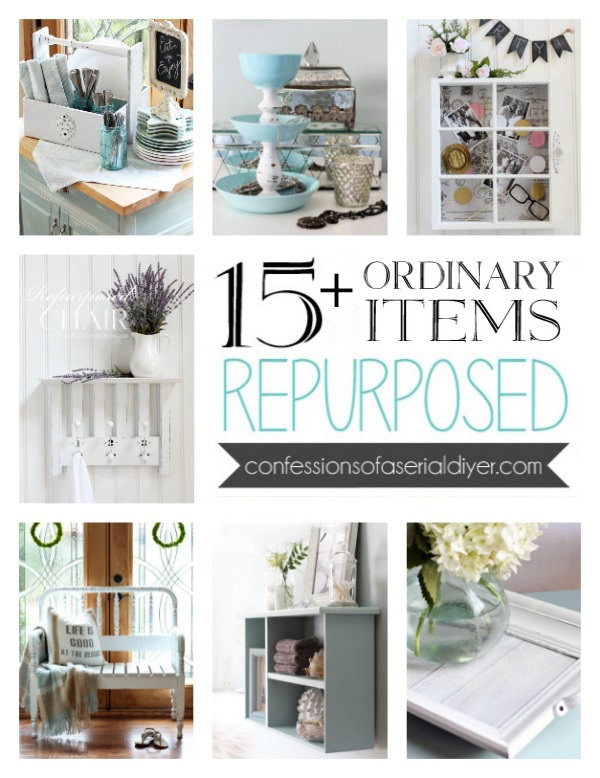 When a few blogging friends of mine decided to get together and have some fun with bright furniture makeovers, I knew just the piece and exactly what color I wanted to use! 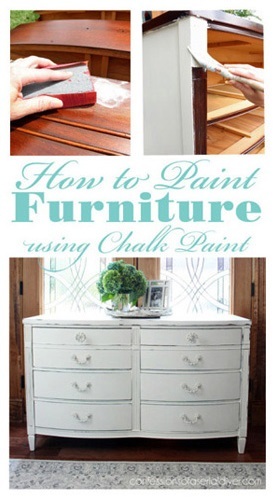 The very first paint color I purchased in Annie Sloan was Provence. 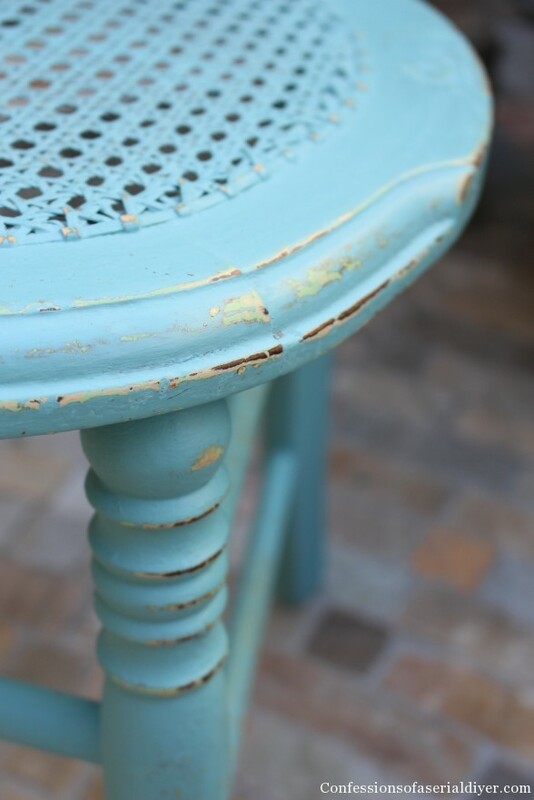 It’s a beautiful shade of aqua blue, but pretty bold…and perfect for this project! I love this color. It’s so vibrant and gorgeous. Now I think it’s just as fun as its previous owners! How about you? Do you enjoy a bit of color or do you prefer to stay neutral? If you enjoyed this transformation check out what my friends have been busy painting! Meet me back here Friday. 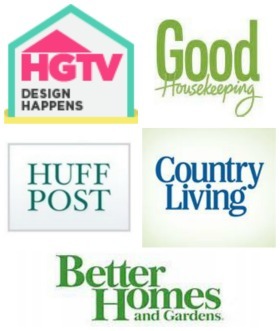 My Get Your DIY on co-hosts and I are sharing our “May Flowers” projects for our next themed party which starts this Sunday, May 4th, at 7:00pm EST. 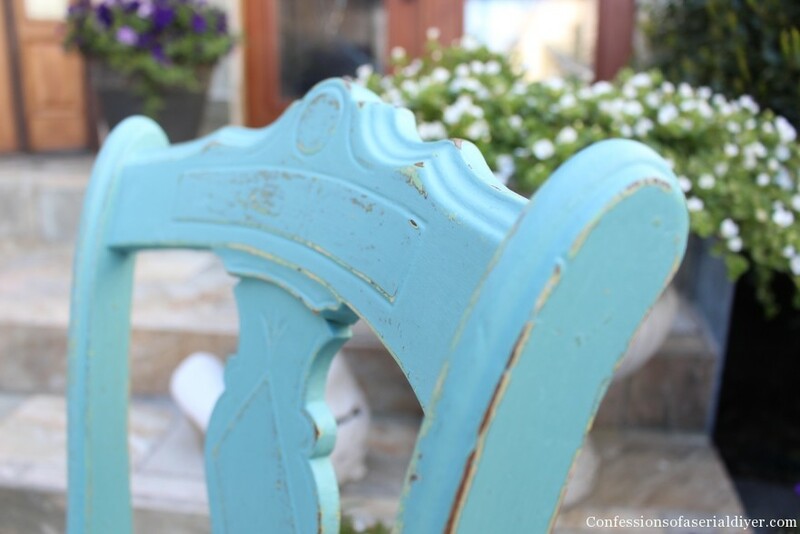 How adorable, love the style of the chair and the color really brought out the shades of green that was under the blue! So sweet and pretty. I love pieces of furniture that have or tell a story. Great job! Christy what a beauty! 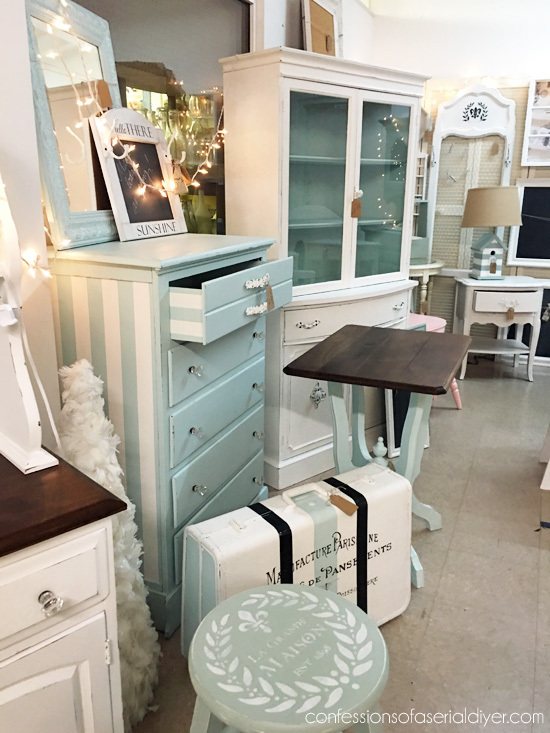 Love the provence blue on on your fabulous find! What a perfect spot for it too. This is so pretty! Provence is one of my favorite ASCP colors. Great job! 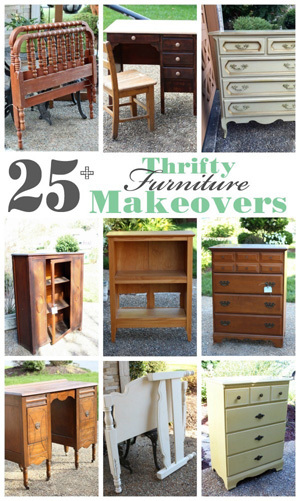 LOVE love love it- that color makes my heart beat faster:) What an amazing little find and transformation! Christy, That chair is so soft and feminine looking, Love It! I think the distressing is perfect too. I wouldn’t change it. 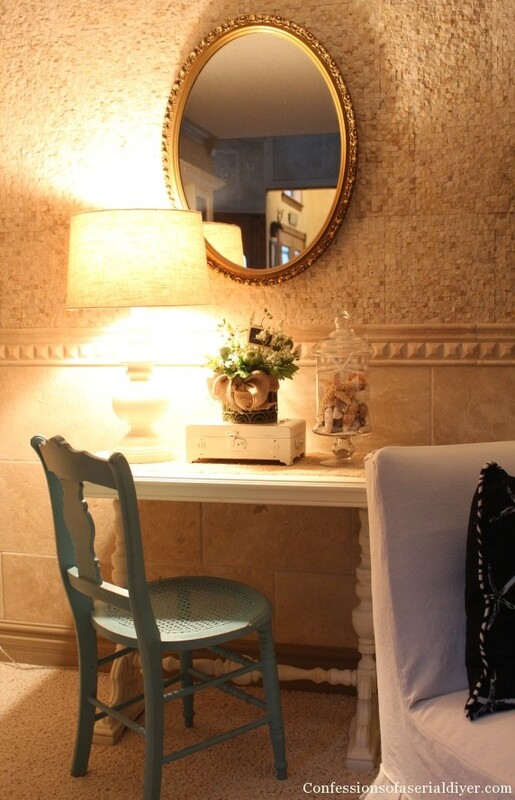 I love neutral with splashes of color! 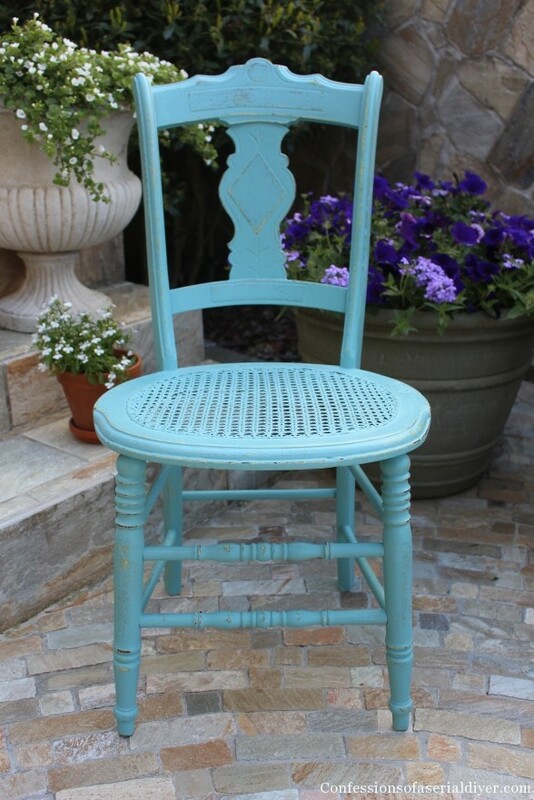 🙂 What a sweet chair…Provence is so pretty. I agree, the green peeking through is perfect! Provence is my favorite! The chair has great lines, I would have bought it too. And the peeks of green underneath are perfect! I’ll bet the elderly couple that sold you this would be thrilled to see the end result of your makeover. Your chair looks great with your desk! Love the color you used and need to add Provence to my AS collection of paints. Your chair turned out really pretty. Thanks for sharing. 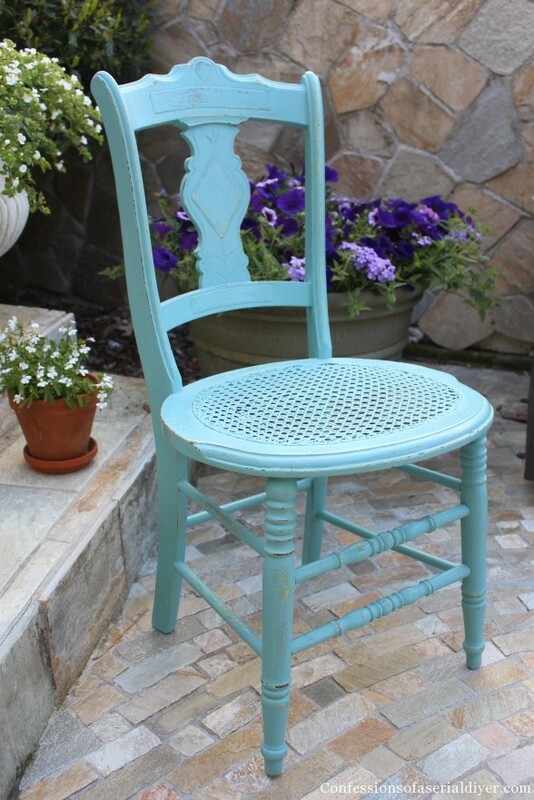 What a pretty chair, Christy, and love the color! Your photos look gorgeous! Pinning! Happy May Day! Very nice! I love the shade of blue you chose. I’ve been wanting to do something like this with my dining room table and my office desk. It’s just a matter of me deciding on the right color. Awww…it looks so cute at your desk!! I love that color, it’s similar to a table I painted in a Miss Mustard Seed color and just love the burst of color it gives the room it’s in. I like the amount of distressing you gave it, looks fantastic. The bright color was the way to go. 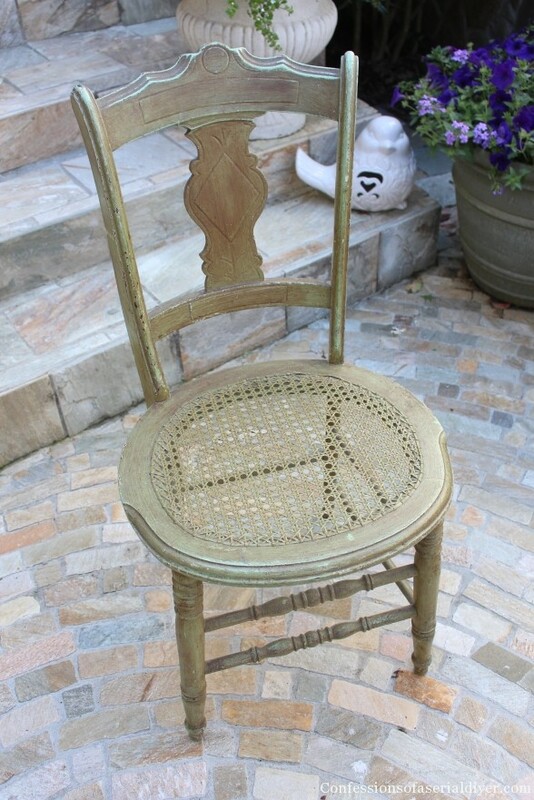 the chair looks wonderful in its chippy patina. Love everything about it! What a great find, the color looks perfect. What a great job! I love this chair, it’s gorgeous now! Well done Christy! Great makeover. 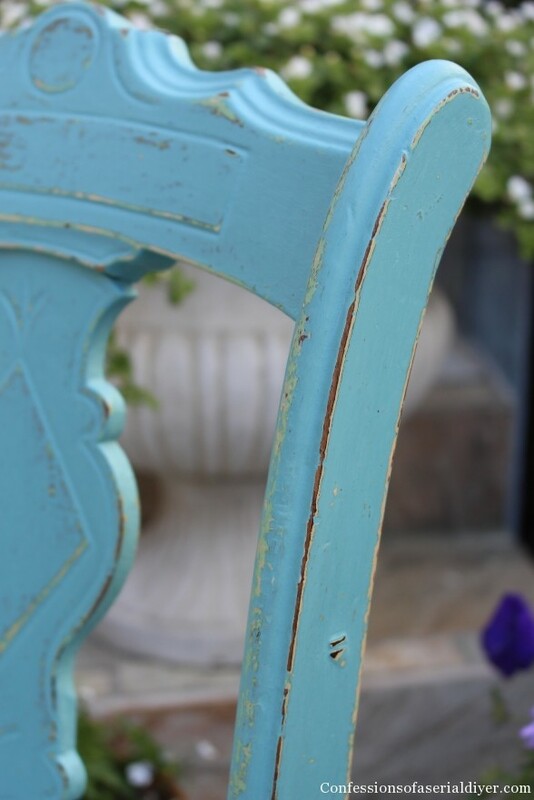 Love this color and the distressing makes it looks so beautiful!! I pinned this to our talent board on DIY Sunday Showcase. Thanks for sharing with us! !